For those in North America that didn’t buy Xenoblade Chronicles 2: Torna – The Golden Country physically, you may be pleased to know that My Nintendo now has Torna – The Golden Country box art rewards available to download and print out. This reward comes in the form of a PDF file with two printable options for box art. 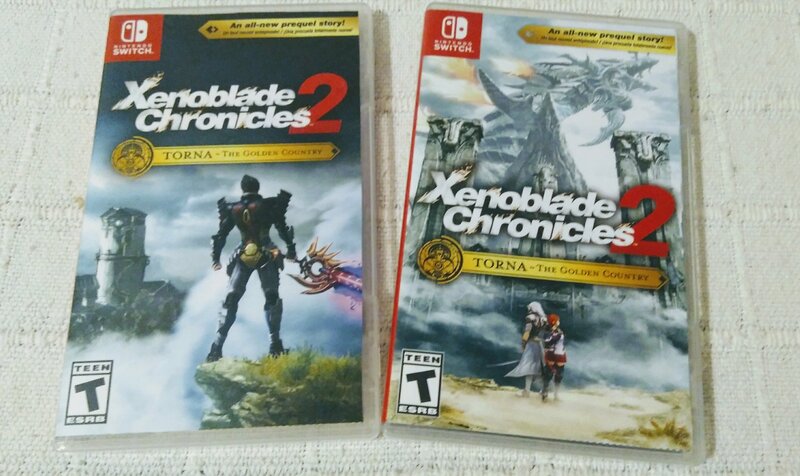 There is the standard box art that comes on the physical version of Torna and the other with Malos on the front cover. This reward costs 30 Platinum coins and is ideal for those that got the expansion pass long before Monolith Soft and Nintendo announced that Torna – The Golden Country would also be available physically. If you don’t have any spare Nintendo Switch Game Cases lying around, you can purchase spare Switch cases via the Nintendo website. For those in Europe, as always, we are the last to get anything, if we get anything at all. It wasn’t until earlier this month or so did the Printable Octopath boxart come available on the European My Nintendo Website. Don’t fret though as we have you covered. If you have a North American Switch account, you can use that same account to get the printable Torna – The Golden Country box art. As a PDF file, you can then easily share it between your friends. There is also a new Torna – The Golden Country Wallpaper for Smart Devices, Tablets and PC that will cost you 50 Platinum Points. If you would like to redeem the rewards you can do so via the My Nintendo website. Remember, if you have a North American Nintendo account, you can redeem the reward.